Struggling to recover from his losses in Kirshtein, Lee is swept back into the fray when a dangerous new Herald sets her sights on him. Hell-bent on reshaping the world in her own image and with her own ideals, she is willing to commit even the most immoral acts in her pursuit of righteousness. At risk of losing everything he has worked so hard to create, Lee has to find a way to defend the weak against a madwoman whose deranged sense of justice has twisted the limits of the game. 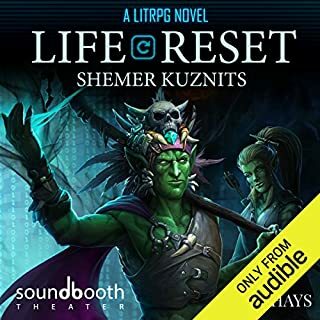 Desperate to save as many people as he can from a horrible fate in the cruel game of the gods, Lee and his small group of friends abandon the relative safety of Satterfield for the great city of Kirshtein. Tensions within the city have reached a breaking point after the arrival of an enemy Herald, and Lee is soon caught up in the struggle for power. After failing to take down the United World Government, Alan is a wanted fugitive on Earth. With nowhere else to go, he leads the Black Rose guild into the Abyss Labyrinth. But hidden agendas thrive within the mercenary guild, and Alan soon discovers larger forces at play. When virtual reality becomes real enough that people feel as if they're being transported to another world, Valia Online arrives. A man running from his past joins the game to forget it all. Calling himself Jack Thorn, he chooses an undead race, Deathlord. A mage by choice, and a swordsman by necessity, he soon finds out that he'll need to use much more than magic and steel to survive; strategy, creativity, and carefully chosen words can often accomplish what simple attacks can't. As the game becomes too real and touches a part of him that he'd rather leave buried, he is faced with two questions: Who is he, really? And who should he become? Challenge is book one of the Unbound Deathlord series, a LitRPG saga. Went through the usual motions: gaming capsule, explain game terms, accident that makes MC OP in a way. "It's such a mystery how interesting things happen around the protagonist" as a way to justify plot. Nothing overly new, but it's a damn good story nonetheless. A series with a strong start! 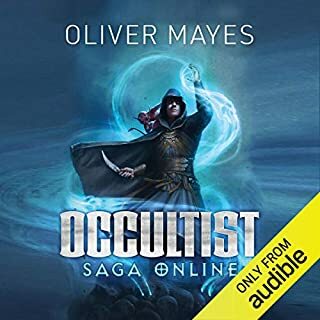 This novel seems to have skipped the sin of dragging out introductions and (often unnecessary) explanations, as so many in the litrpg genre have fallen into the bad habit of, for which I cannot properly articulate my thanks. I enjoyed the pacing, the lack of an obligatory romantic partner for the MC, and found the characters likeable and interesting. Following the game plot may be difficult for those who struggle with understanding the intricacies of politics, but the general plot does not suffer for it. The narrator’s tone is not serious even during most of the very serious moments, which in turn makes the reading seem lighter despite some very heavy content. I look forward to purchasing the sequel and hope the series continues to impress and entertain. Overall a good book. The main character... At times does some incredibly foolish things, almost like he is the whipping boy of the story. Its not a trait I enjoy in the main character. At the same time, there are some very good moments, moments that show brilliance in the main character. While these moments really made parts of the story great, it also contrasted very sharply with the whipping boy routine... It was very, irratating at times. Regardless of the weakness/brialliance of the main character, it was a pretty good story. I especially like some of trauma/craziness of the family. And the leadout to the end of the book really was a surprise. It definitely changed the tone of the character and story. It makes me very hopeful for the story's continuation despite some of the serious issues I've seen about the main character. There were inconsistencies in the recording for some of the voices and a very noticable limitation in the number of variations. Really makes me hope I don't have to listen to some of these characters interracting. It would be very difficult to listen to if they both sounded the same. A protagonist so bad it might be funny. I spent the entirety of the book wondering at how the character could get a more convoluted backstory, and at every chance it became almost silly. The main character is introduced as a weathly young man, who learned how to fight on the streets..., after his family did evil things to show him what power was, then he ran a gang for some reason, then his parents die in a fire so he blames himself and all before the events of the book even start!! I can honestly say it gets deeper and more convoluted. I listen to books at work to pass time, but all I did during this book is roll my eyes. I wouldn't recomend it to anyone honestly. You get the feeling right off the bat that this "Jack" isn't your straightforward protagonist. While trying to follow his instincts to help/loot he's also a Jackass, Non apologetic, clever, and dark. His upbringing and background paint a picture of pain, anger, self destructiveness, confusion, and a deep deception. That same upbringing allows a different angle to the typical Litrpg. Most Litrpg's I listen to have me wishing right off the bat for it to focus exclusively on the game. This one however, gives me nibbles and clues about the bigger picture and draw me into the outer story just as much as the inner, if not more. By the time the last chapter rolls around I'm at the edge of my seat to see what "Jack" will do. The 17 hour read time is also a great seller. A lot of other Litrpg's are less than half as good, half the time, and at a similar price. I can't tell you how disappointed I was that there wasn't a second book on Audible yet. The only complaint I have is that every single chapter the status is read. That by itself is fine except for the mile long list of traits by the end of the book. I'd much rather hear them say, "Traits Minimized" or just mention the important ones. A minor complaint, but a common one among Litrpg's. Only 2 negatives for me. Really enjoyed the story over all, The negatives were only the Info updates at the end of the chapters, and the secondary story near the end. But that part may change when I hear the second book. I liked the characters, story, and the humor. The players seemed like people you actually do meet in MMO's. Can't wait for the next book! 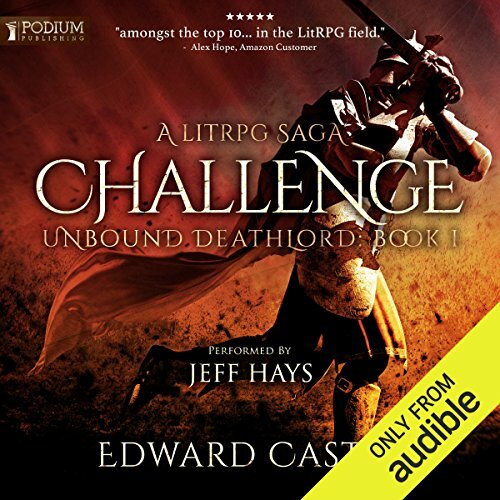 “Challenge” is the first book in the “Unbound Deathlord” series. The book is authored by Edward Castle and the audiobook’s narration is expertly performed by, as usual, Jeff Hays. In the very crowded Literary Role Playing Game (LitRPG) genre, this book sets itself apart by approaching the story from the perspective of a more evil or dark character (a deathlord) instead of your usual paladin or hero character. It is a rather large book containing almost a thousand pages in the print edition and comprising nearly eighteen hours of audio. Unlike many in the category, this book makes you feel you are actually experiencing a virtual game world. 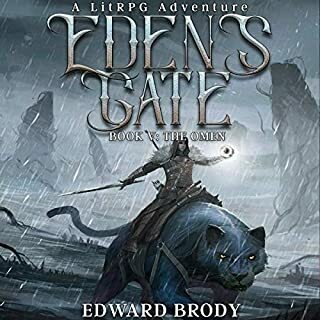 If you enjoy LitRPG books, I believe you will enjoy this one. 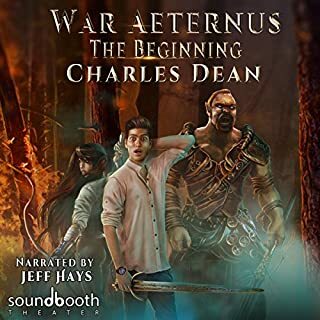 Just be aware, the book is the first in a series, and it is the only one currently available in audiobook format. I will be interested to see the direction the author takes this book. If the sentence, “You awaken in a cold and damp dungeon”, sounds familiar to you, I think you get a good idea of the direction this will go. The beginning of the story is nothing new from others like it, however I really was able to enter the world and it felt like a game rather than just another fantasy novel. It felt polished and well edited. One really gets a sense of the characters powers and abilities as he levels up; and who did not like this aspect while playing such games? You felt the initial pain and struggle of a newly created level one character, and as the book progressed you felt the weight and struggles lift somewhat. However, some of the newer quests matched or even exceeded the players skill level. I thought the ranking system was also interesting. Not only are we given a skill tree to understand, but the book also contained trait and class details as well. Again, simply a nice touch adding depth to the story. The world the author created consisted of many of the expected fantasy or adventure items and creatures. There were swords, spiders, rats, but the author additionally included some different things such as a quite powerful illusion ring along with others. Because the book was mostly focused on more dark characters, we were presented with vampires, ghouls, witches, along with other creatures who prefer the night. Because the main character was a dark mage, there was some good detail provided around the magic system and the character’s process of learning it. In many ways, the book is really a struggle between good and evil, however you are hoping evil wins in this case. Jack thorn seems to be a rather unique player with a rather unique voice; covered in the narration section. Although the book often filled with pokes, zings, or bantering between the players and NPCs, it also contained some serious and emotional scenes as well. I thought the author did a decent job of taking us on an emotional rollercoaster from start to finish. The opening sequence is action filled and emotionally charged. That is not to say the book is overly deep or touchy-feely. There is plenty of gaming humor and fun found within its pages. 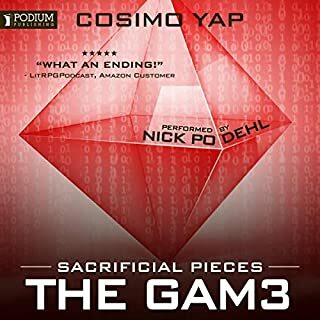 The story is a bit darker than others in the genre, but it also deemed more complex and complete even though it is only the first book in a series of books. 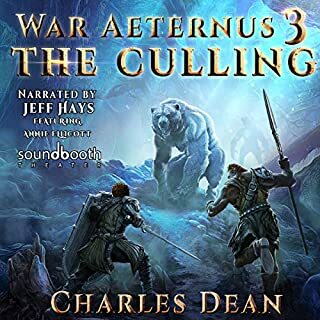 The book’s narration was done very well by Jeff Hays. 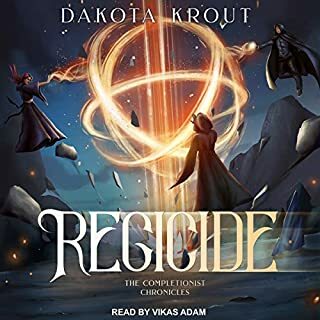 With this book, I felt he was trying a new technique by voicing the main character and the narrator as two separate people. Although the story was told from the perspective of the main character, the voice Mr. Hays used when the character spoke was quite different. I’m not sure the voice of the main character fit what I expected him to sound like, but as with other parts of this book, it grew on me. For the length of the book, the audio was performed flawlessly. No noticeable audio artifacts were heard. I also thought he did a good job of pacing the book’s narration. I even enjoyed the games female Artificial Intelligence (AI) voice at the end of each chapter. I will say that I did not enjoy the character stats given at the close of each chapter, however it began to grow on me and I wanted to hear how the character grew from the previous chapter. Again, his level and skill elevation seemed to be in line with the actions he took during the chapter. For parents of younger readers, I would not recommend this book as the subject matter is geared more towards an adult audience. The book contains a fair amount of vulgar language (rather heavy at times), high-level sexual topics, and a few scenes containing intense graphic violence. If any of these offend you, I suggest you grab a different book. For someone to want to be placed permanently into a virtual world due to a life event, you have to feel for him. Yet, even though he selects a dark character type, the story is written in a way that you want him to succeed. The writing is descriptive and not overly verbose. If you are a fan of the genre, I recommend you pick up Challenge by Edward Castle, and give it a listen. 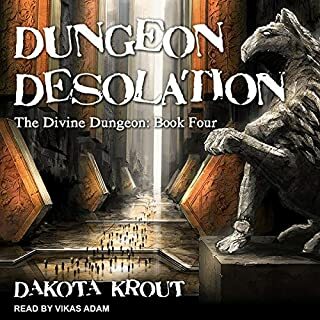 Audiobook was provided for review by the narrator. 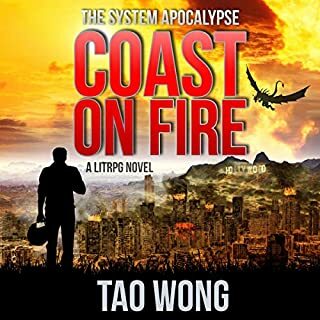 Decent litrpg story ruined by cringtastic “real life” portions and eye rolling life advice at the beginning of each chapter. I just found out about this jonra of literature and found it very intriguing. However this particular novel I had some major qualms with. The first issue I had was that the typical glance at the character sheet turned into a large segment of the actual novel. I didn't need a refresher on every detail of the sheet at the beginning or end of every chapter. The performance was done quite well but the characters were so simplistic and one-sided that it fell flat. I doubt I will be reading the next book I didn't feel as if this was a cliffhanger as much as simply an unfinished story. What did I jsut listlen to, that was amazing! 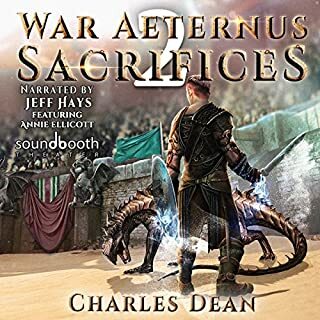 Where does Challenge rank among all the audiobooks you’ve listened to so far? What was one of the most memorable moments of Challenge? What does Jeff Hays bring to the story that you wouldn’t experience if you just read the book? Great book, only thing I disliked was the constant verbal implication that a group was racist or xenophobic as it felt very forced into the dialog. The story had already described this and did not need the character telling the listener, it maid it feel forced and a cross between an agenda and a writer who was not sure about his story covering the point. Which I though they did well without the verbal comment. I started this book with low expectations. But as time passed I could not put it down I want more I want more from this author I want to see what he can make in the next book. if you're new to LIT RPGs this is probably not the book for you. but if your long-time reader I recommend this one hundred percent. Full character development, interesting plot hooks and intrigue to keep you riveted to the story. 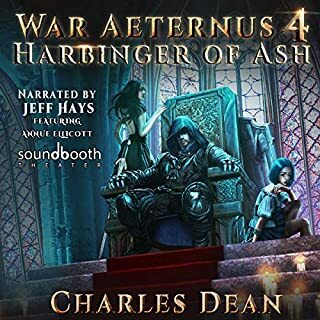 Narrator is Jeff Hays, and as per usual, perfection. I don't know how he does it. 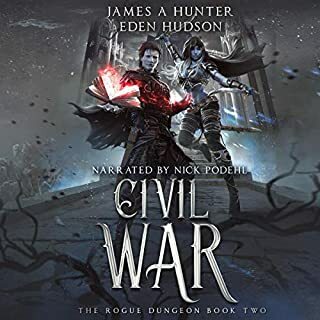 Can't wait for the next book in the series to hit audible. I could not finish this book. The seems to be little flow to the writting style. It almost seems like a horribly abridged version. So much so that the story seems bare bones rather than fleshed out. Character development is not a priority at all and when it is injected into the story it feels forced.